Uber, the ride sharing behemoth set to launch a stock offering soon, is aiming beyond sharing car rides to becoming the “Amazon of transportation” in a future where people share instead of owning vehicles. 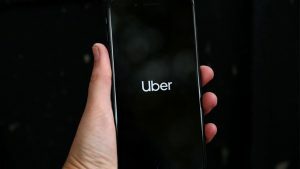 Uber laid out its vision of a transformed world of personal mobility as it steered toward a keenly anticipated stock market debut that will follow an initial public offering of shares by US ride share rival Lyft. “Cars really were, for us, a kind of starting place,” said transportation policy and research chief Andrew Salzberg at an Uber media event in Santa Monica, California. The Southern California beach city was teeming with electric scooters and bicycles from Uber and rivals that may be checked out with a smartphone app. “The idea that every time you walk outside there is this electric, fun-to-ride vehicle waiting to take you to your next destination is really incredible,” said Nick Foley, head of product for Jump, the electric bike startup acquired by Uber. Foley believed that a shift to mobility as a smartphone-summoned-service will alter lifestyles as dramatically as did the mass market debut of the automobile. Combining electric motors with light-weight scooters or bicycles, and having them on streets to be used on demand, provides an ideal method of getting around in traffic-troubled cities, according to Uber. Electric bicycles and scooters can get people efficiently to destinations in congested down towns, where they can switch to public transit or car ride sharing at their convenience. Uber’s effort to be an all-encompassing platform for getting around includes adding e-scooter rival Lime and city transit services to its smartphone application, along with improving features designed to get people to travel together instead of riding solo. The California-based startup’s collaboration with cities includes sharing anonymous traffic flow data with officials in charge of public transit, bicycle lanes, parking and road planning. Uber is also integrating transit schedules into its app and will soon add a way to pay fares as well. “We can’t really be the Amazon for transportation without the biggest mode of transportation out there, which is public transport,” said Uber transit team leader David Reich. If all goes to plan, commuters could ride an e-scooter to a transit station, take a train then grab an e-bike, ride share or e-scooter at the arriving station to complete a journey. Uber chief executive Dara Khosrowshahi has made a priority of working with transit agencies, according to Reich. The post With IPO due, Uber aims to be ‘Amazon of transportation’ appeared first on SABC News – Breaking news, special reports, world, business, sport coverage of all South African current events. Africa's news leader..
NEXT POST Next post: How will Eskom ever recover Soweto’s R17bn debt?